CTET 2019 Notification OUT. Central Teacher Eligibility Test Application Available from 5th Feb to 14th March 2019. Download CTET Information Bulletin on This Page. CTET 2019 Exam Date: 7th July 2019. Name of the Authority or Organization Central Board of Secondary Education. 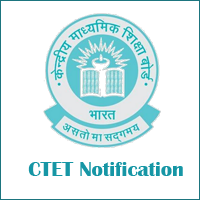 Name of the Posts or Designation CTET 2019. Advertisement Release Date 4th Feb 2019. Start Date for Online Application Form 5th February 2019. Admit Card Release Date Notify Soon. CTET Exam Date 2019 7th July 2019. Dear Candidates, get a golden opportunity to impart your learnings by applying for the Teacher Eligibility Test. Therefore, केंद्रीय माध्यमिक शिक्षा बोर्ड will be issued an advertisement notification for Teacher Eligibility Test soon. Hence, aspirants can check detailed information mentioned in this article which explains about CTET Exam Eligibility Criteria. In addition to this, CTET Exam 2019 consists of Paper-I and Paper-II. However, CTET 2019 Paper-I is for the selection of Class 1 to 5 and CTET 2019 Paper-II is to recruit candidates for Teacher Post of Class 6 to 8. Furthermore, the Central Board of Secondary Education invites applications through online mode. Most noteworthy, CTET Application Form 2019 dates will available soon on CTET Official Website. In addition to this, you can also go through the selection procedure, pay scale details, important dates, application fees, etc mentioned below. Therefore, details about CTET Eligibility Criteria are explained below which include Qualification For CTET and Age Limit For CTET 2019. Hence, CTET Last Date for filling an Online Application Form will intimate through this page to the candidates. Candidates should have completed Senior Secondary or its equivalent examination with minimum 50% marks and must have cleared or appeared final year exam of Diploma in Elementary Education for 2 Years or B.El.Ed for 4 years. For Further educational qualification or detailed information, you are suggested to check CTET Exam 2019 Notification pdf. Minimum Age requirement – 18 Years. Maximum Age Limit – 40 Years. केंद्रीय माध्यमिक शिक्षा बोर्ड published an advertisement notification. Hence, interested job seekers can check the detailed information about CBSE CTET Vacancy 2019. Furthermore, eligible contenders can fill CTET 2019 Form and submit it before 5th March 2019. How to Apply for CTET Exam 2019? Candidates should follow the CTET 2019 Online Application procedure and follow the same while applying for 2019 Central TET Exam @ ctet.nic.in Furthermore, CTET Application Form is available from 01st August to 27th August 2019. First of all, have a quick sight at CTET Official Website i.e. www.ctet.nic.in – Central Board of Secondary Education. When the Official Page is displayed, search for CTET Notification 2019 pdf. Download CTET 2019 Notification pdf and go through the rules and regulations mentioned in it. Furthermore, check your eligibility with the mentioned CTET Eligibility Qualification for CTET Vacancy and Age Limit For CTET Jobs. If you have satisfied the conditions of CTET Eligibility Criteria, you can click on CTET Online Apply link available on CTET Website or on the link given below. Fill the complete details like in CTET 2019 Application Form like your Name, Educational qualifications, DOB and other required information. Later, Attach scanned copies of necessary or required certificates and upload your photo and signature. Now, make a payment of the relevant application fees as per your category and click on submit option. Finally, take a print out of filled CTET 2019 Online Form for any future use. Job hunters, I have offered you all the required details CTET Recruitment 2019. Furthermore, you can also refer to CTET 2019 Notification pdf for more detailed information or in case of arrival of any queries. 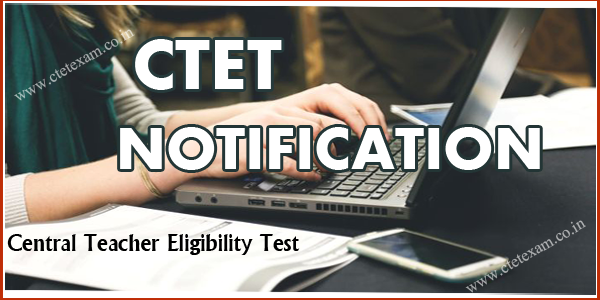 In addition, download CTET Notification 2019 from the link given below or from CTET Official Website. In conclusion, for more latest CTET 2019 Updates and try harder to turn your dreams into reality. ABOVE 40 YEARS applicant can write ctet exam, nowadays private schools management also asking ctet card. What’s it age limitation??? Can you please tell me.If somebody is just stepped in 40.Is he or she is eligible to attended the test. When application forms for ctet Sept 2018 will get filled. I’m HS passed 52%.can I the ctet test. I m JBT final year can I give this test.. I am doing d.el.ed at this time. It is my last year. Can I fill up the ctet examination. I am 12th pass can i give the test. I have passed B. SC., whether I need to pass both the papers I&II, for appointment as teacher. I have not passed B. Ed. I have done B. TECH FROM IT BRANCH, SHOULD I APPLY FOR CTET EXAM? Sr ab kb date aygi form apply krne ki plz tell me. Can you say any new notification for ctet 2018? Is B P Ed/pet candidate eligible to write CTET exams? sir Namaskar ctet ka new notification kab tak ane wala hai ………..
mere BA – 49.26% , MA- 65%, B.ED – 64% M.SC- RS/GIS – 70% hai ky mai CTET apply kar sakta hu plz reply me ….sir ………. Why admission registration not opening. When online form to be filled. today is last date of apply but still application form is not opening. what to do now? I passed b ed degree from singhania university in 2015 and sc catagory. Age 44 year.can appear ctet examination. I passed the b ed degree from singhania university in the session 2015 and sc catagory. Age 44 years. Can appear ctet examination. When will the application be restarted again? I m in Bsc finar year……can i apply????? I m in Bsc third year ….can i apply for this???? I m graduated with b.com(p) nd have not done any b.ed course so can i eligible for ctet exam?? I have 49.47% in BSc. & B Ed. Pass so can I eligible for ctet exam. Please reply me. I have done my B.ed . Can I apply for ctet? Hi,. I m ajit kumar . I m pursuing b.ed 2nd year . Can I give both paper of ctet. Sir CTET from ki date badhil saketye kya,? HOW CAN I TAKE PRINT OUT OF CTET 2018 ONLINE FORM ? Disclaimer: The Information provided here is only for Reference purpose. Visit the CTET Official Website www.ctet.nic.in for complete details.